Can Portfolio Investing be Fun? Investors, whether they are individuals or institutions, may choose to hold “portfolios”, which is a fancy name that means “a collection of various securities”. Much of the innovation in investment research over the past 40 years (since Harry Markowitz presented his dissertation) has been the development of a theory of portfolio management. The question it attempts to answer is, “What rate of return will you demand in order to hold a risky security in your portfolio?” To answer this question, we first must consider what type of investor you are (what objectives you have), how to define return, and how to define risk. Another interesting question is, “Why should we be interested in portfolio investing, if we can just trade forex or futures as usual?” The answer is diversification. 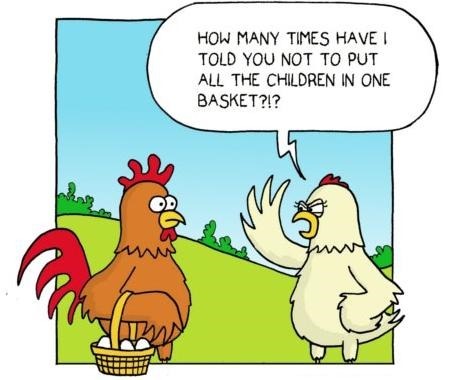 Just like holding a portfolio of various securities can decrease the actual risk of the portfolio itself, by not having all your eggs in one basket (trading outright) you can try to generate income in another manner. Also, with portfolios, the timing component is not as influential as it is with trading, which can give you a break from a lot of the stress that comes with frequently trading.We’ll talk more about this later on. Who is Harry Markowitz and what is Modern Portfolio Theory? Harry Markowitz is an American economist – recipient of the 1989 John von Neumann Theory Prize and the 1990 Nobel Memorial Prize in Economic Sciences – and professor of finance at the Rady School of Management at the University of California, San Diego (UCSD). He is best known for his pioneering work in modern portfolio theory, studying the effects of asset risk, return, correlation, and diversification on probable investment portfolio returns. Harry Markowitz put forward this model in 1952. It assists in the selection of the most efficient portfolio by analyzing various possible portfolios of the given securities. By choosing securities that do not ‘move’ exactly together, the model shows investors how to reduce their risk. The HM model is also called Mean-Variance Model due to the fact that it is based on expected returns (mean) and the standard deviation (variance) of the various portfolios. 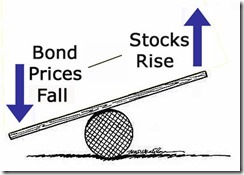 Risk of a portfolio is based on the variability of returns from the said portfolio. An investor is risk averse. An investor prefers to increase consumption. The investor’s utility function is concave and increasing, due to his risk aversion and consumption preference. Analysis is based on single period model of investment. An investor either maximizes his portfolio return for a given level of risk or maximizes his return for the minimum risk. An investor is rational in nature. p style=”text-align: left;”>With that in mind, choosing the best portfolio from a number of possible portfolios, each with different return and risk, requires two separate decisions: determination of a set of efficient portfolios and selection of the best portfolio out of the efficient set. A portfolio that gives maximum return for a given risk, or minimum risk for given return is an efficient portfolio. Thus, portfolios are selected as follows: (a) From the portfolios that have the same return, the investor will prefer the portfolio with lower risk, and (b) From the portfolios that have the same risk level, an investor will prefer the portfolio with higher rate of return. The fundamental concept behind MPT is that the assets in an investment portfolio should be selected considering each asset’s correlation with the other assets in the portfolio. In trading terms, it’s like having to decide whether to hold EURUSD and GBPUSD longs or EURUSD and USDJPY longs at the same time. Of course, EURUSD and GBPUSD tend to be correlated and move in a similar fashion. So by holding two assets, the trader would not be diversifying and he would actually be increasing his risk. Instead, EURUSD and USDJPY have different dynamics and thus the diversification effect is more evident. Investing is a tradeoff between risk and expected return, with the effort to minimize the former and maximize the latter. In general, assets with higher expected returns are riskier. For a given amount of risk, MPT describes how to select a portfolio with the highest possible expected return. Or, for a given expected return, MPT explains how to select a portfolio with the lowest possible risk (the targeted expected return cannot be more than the highest-returning available security, of course, unless negative holdings of assets are possible). Typical risk-return profiles for various asset classes. Therefore, MPT is a form of diversification. 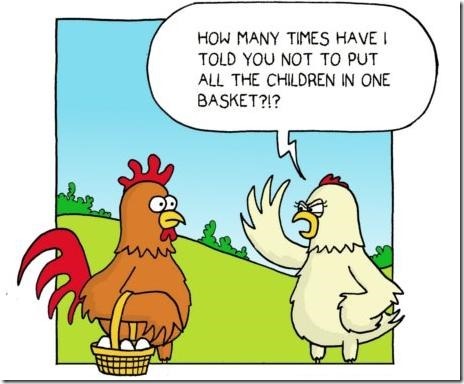 What we must always keep in mind is that the mathematics behind portfolio construction are based on assumptions. Given the nature of assumptions, some of these are very strong and end up not holding up well in the real world. Markowitz himself said at the beginning of his thesis,“The investment process is made up of two steps. The first step is to have an expectancy of the future returns of certain assets that you would like to insert into the portfolio. This step requires experience and keen insight. The second step is combining the assets in an efficient manner. This dissertation explains the second part”. So Markowitz himself admitted that mathematics and mean-variance optimization are not sufficient for generating profitable portfolios. The investor needs to have some way of making an educated guess of the future course of prices. Using out background as traders, we can utilize our directional bias abilities with portfolio building analytics. Through the course of future articles, we will cover the specifics of how to build efficient portfolios starting from scratch on Excel or OpenOffice. In this article, we need to understand how to approach the portfolio building process. As in many aspects of life, even in portfolio trading, there are different strokes for different folks. You might think, “All i want is to be net profitable.” Sure, we would all like modern portfolio theory to generate easy, consistent returns, but there is no return without risk.The key, then, is to decide ex-ante how much of a loss you are personally willing to take in order to achieve a given return. This can depend also on the nature of the funds invested. Is it all risk capital, i.e., money you can afford to lose without changing your lifestyle? You can afford to be more aggressive. Is it for your son’s university tuition? You need some sort of guarantee and might want to opt for fixed income investments that payout at a certain date. Are you looking to create a pension plan and want some sort of growth over time? Maybe go for dividends or, in the case of FX, carry trade portfolios. Income: An investment objective seeking a portfolio that produces current income while recognizing and accepting market and issuer risks inherent in investments of this type. Portfolios for individuals seeking income above the market average carry higher risks and can be more volatile than the general market. Growth & Income: An investment objective seeking both higher returns from capital appreciation and some current income by investing the portfolio primarily in growth equities which produce little or no current income, and in income-producing investments of all grades, while recognizing and accepting the increased risks associated with investments of this type. A portfolio may perform differently from the market as a whole or similar investments. Some investments are more volatile than others, which can lead to substantial and rapid changes in gains or losses in the value of the account. Growth: An investment objective seeking a portfolio that can provide capital appreciation while recognizing and accepting the risks inherent in investments of this type. Growth investments typically generate little or no current income, but have the potential for capital appreciation and may perform differently from the market as a whole or similar investments. Some investments are more volatile than others, which can lead to substantial and rapid changes in gains or losses in the value of the account. Speculation with active trading: An investment objective for a client seeking higher possible capital appreciation while recognizing and accepting a high degree of risk associated with such investments and strategies, including the total loss of principal. So if you are or have been a trader, then transitioning into investing can actually be easier than coming from investing and wanting to trade actively. You’ll be moving from a higher-risk pursuit to a much lower-risk one instead of the other way around. Even if you are new to investing, you may already know some of the most fundamental principles of sound investing. How did you learn them? Through real-life experiences and common sense! The easy definition of diversification. For example, have you ever noticed that grocery stores often sell seemingly unrelated products – such as makeup and sunglasses? Initially, that may seem odd. After all, when would a person buy both groceries and makeup at the same time? Probably never. And that’s the point. Grocery stores know that when people like the concept of “one stop shop” and if you combine that with a time constraint (have you ever been in a hurry? ), it’s easier to sell makeup along with groceries. Then, when people have no time constraint, they’ll just opt for groceries. By selling both items – in other words, by diversifying the product line – the store can reduce the risk of losing money on any given day. If that makes sense, you’ve got a great start on understanding asset allocation and diversification. Time Horizon: Your time horizon is the expected number of months or years you will be investing to achieve a particular financial goal. An investor with a longer time horizon like a retirement that’s 25-40 years away may feel more comfortable taking on a riskier, or more volatile investment because he or she can wait out slow economic cycles and the inevitable downs of markets. By contrast, an investor saving up for hit son’s college education would likely take on less risk because he or she has a shorter time horizon. When it comes to investing, risk and reward are inextricably entwined. You’ve probably heard the phrase “no pain, no gain” – those words come close to summing up the relationship between risk and reward. Don’t let anyone tell you otherwise: All investments involve some degree of risk. The reward for taking on risk is the potential (but not the certainty) for a greater investment return. For many financial goals, investing in a mix of stocks, bonds, and cash can be a good strategy. Let’s take a closer look at the characteristics of the three major asset categories. 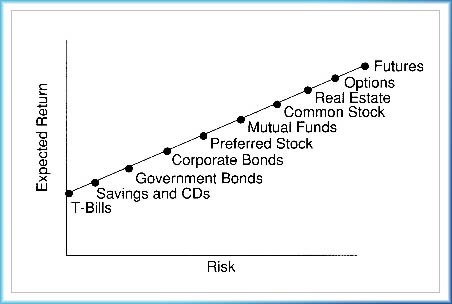 Stocks have historically had the greatest risk and highest returns among the three major asset categories. As an asset category, stocks are a portfolio’s “heavy hitter,” offering the greatest potential for growth. Stocks hit home runs, but also strike out. The volatility of stocks makes them a very risky investment in the short term. Sometimes the losses have been quite dramatic. But investors that have been willing to ride out the volatile returns of stocks over long periods of time generally have been rewarded with strong positive returns. Cash and cash equivalents – such as savings deposits, certificates of deposit, treasury bills, money market deposit accounts, and money market funds – are the safest investments, but offer the lowest return of the three major asset categories. The chances of losing money on an investment in this asset category are generally extremely low. The federal government guarantees many investments in cash equivalents. Investment losses in non-guaranteed cash equivalents do occur, but infrequently. The principal concern for investors investing in cash equivalents is inflation risk. This is the risk that inflation will outpace and erode investment returns over time. By including asset categories with investment returns that move up and down under different market conditions within a portfolio, an investor can protect against significant losses. Historically, the returns of the three major asset categories have not moved up and down at the same time. That’s the magic of diversification. By picking the right group of investments, you may be able to limit your losses and reduce the fluctuations of investment returns without sacrificing too much potential gain. In addition, asset allocation is important because it has a major impact on whether you will meet your financial goal or not. If you don’t include enough risk in your portfolio, your investments may not earn a large enough return to meet your goal. For example, if you are saving for a long-term goal, such as retirement or college, most financial experts agree that you will likely need to include at least some stock or stock mutual funds in your portfolio. On the other hand, if you include too much risk in your portfolio, the money for your goal may not be there when you need it. A portfolio heavily weighted in stock or stock mutual funds, for instance, would be inappropriate for a short-term goal, such as saving for a family’s summer vacation. If history teaches any lessons, it’s that the only certainty in the financial markets is change. Over time, market conditions can be expected to fluctuate dramatically, as industries, sectors and entire asset classes pass in and out of favor. In the face of these changes, investors essentially have two choices: they can let their portfolios change with the prevailing market currents or they can keep things locked in, sticking to their original asset allocations. Those willing to adapt and ‘rebalance’ their portfolio will aim to make underperforming asset classes shrink as a percentage of the overall portfolio. In the short run, these changes can enhance portfolio performance by automatically lifting the share allocated to the highest returning assets. But those gains can come at a price: as a portfolio becomes more concentrated, it can grow more more vulnerable to a major change in the markets that the portfolio is now more exposed to. It’s called “drifting into danger zone”. A rebalancing strategy that is right for them. This may be a simple rule or a flexible approach that takes market trends into account. Because more volatile asset classes tend to have higher returns, their weight in a drifting portfolio typically will rise over a longer-term time horizon. As a result, investors may assume more short-term risk than they want or expect. The costs of rebalancing—such as taxes and commissions—need to be taken into account. Rebalancing typically decreases portfolio risk. It may or may not increase portfolio returns, depending on market conditions. Rebalancing works best when return differences are narrow, volatility is high and correlations are low. Financial researchers have spent much time and effort trying to prove various rebalancing methods are optimal. The results of these studies are inconclusive. Different methods outperform over different time periods. In some ways, active rebalancing resembles a much more aggressive investment technique known as tactical asset allocation, or market timing, in which an investor may jump into— or completely out of—a specific asset class in an effort to capture major up moves while avoiding major down moves. For most individual investors, this is a recipe for sub-par performance. Active rebalancing, however, is a more cautious technique. Portfolio allocations typically are not lowered below the original targets, or raised above them, except by external market forces. This reduces the risk of being on the wrong side of an unexpected market trend. Obviously, given the number of potential market indicators, active rebalancing strategies come in a vast selection of colors and flavors. To sum up: the universe of investment possibilities is very wide. Not everyone feels like trading actively all the time. Also, it might be nice to have some sort of retirement plan set up that increases its value gradually over time, without needing to constantly adjust and time the entries/exits of the strategy. Portfolio investing can help with these objectives. What many people do not understand about portfolio theory is that there must first be a “need” (or an objective) that you want to meet with the portfolio. The portfolio can be built correctly, but if it’s not in line with your personal needs, it will be useless. It is also possible to use certain timing mechanisms to rebalance the portfolio at certain intervals, to bring the balance of assets back to the best mix required by your investment objectives.